Following the launch of its individual Pastel Pencils and themed mixed assortments of Pastel Pencils and Pastel Cubes, Caran d’Ache has introduced a series of general assortment sets. 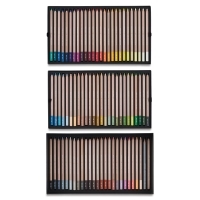 Carefully selected by leading pastel artists, Caran d'Ache Pastel Pencil Sets are intended for both beginners and experienced amateur or professional artists. Ideal for preliminary work, the sets are also perfect for detailed finishing of a huge variety of subjects. 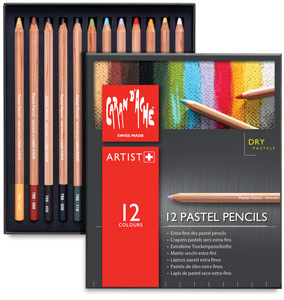 Caran d'Ache Pastel Pencils are also exceptionally lightfast. Of the range of 84 colors, 61 keep their intensity and luminosity unchanged for more than 50 years, and some even up to 100 years.